The ms Westerdam has been cleared by the US Coast Guard after a fire outbreak in the ship boiler room. The ship departed from the Port of Seattle, Washington a 10:15 a.m. local time. Guests onboard are able to continue their cruise. Passengers will get a $250 onboard credit per stateroom as well as a 25% off certificate towards a future cruise as long as its the same value as their current cruise aboard the Westerdam. At approximately 5:15 p.m. local time on June 28, a small fire occurred in one of the boiler rooms onboard ms Westerdam after sailing from Seattle at 4:00 p.m. on a scheduled departure. The fire was quickly extinguished. All guests and crew are safe. Out of an abundance of caution and in coordination with the United States Coast Guard, the ship returned to dock in Seattle, arriving alongside at 8:00 p.m. local time. The ship returned to port under its own power and all onboard hotel systems and guest services were fully operational at all times. An assessment was completed and the ship was cleared to sail by both the U.S. Coast Guard and Lloyd’s Register, the classification society for the vessel. In preparation for sailing, we have taken some additional precautionary repair measures that delayed our departure time longer than anticipated. However, the ship is still scheduled to sail this morning on the revised itinerary plan shared with guests onboard, which unfortunately cancels the port call in Sitka, Alaska. Guests will receive an onboard credit of US $250 per stateroom, as well as a Future Cruise Credit equal to 25% of the base cruise fare they paid for the cruise. Saturday night a small fire broke out aboard Holland America Lines ms Westerdam cruise ship during a 7-night Alaska cruise. No injuries have been reported and the ship’s crew acted quickly to extinguish the blaze. Holland America notified the US Coast Guard and the ship then returned to its home port of Seattle, Washington. The Coast Guard are making assessments and once completed more news will be released about upcoming cruises. There has been a small fire in one of the boiler rooms onboard ms Westerdam as she sailed from Seattle earlier this evening which was quickly extinguished. All guests and crew are safe. Out of an abundance of caution and in coordination with the United States Coast Guard the ship has returned to Seattle. The ship is fully operational and there has been no impact on guest services. It is anticipated that the ship will depart again once the assessments are competed and continue her voyage to Alaska. The 82,348-ton Westerdam was beginning a 7-day Alaska cruise that departed Saturday afternoon. The situation is being evaluated and more information will be provided as it becomes available. There are 2,086 guests and 798 crew onboard. Local news outlet The Seattle Times reports that the fire broke out at around 5 p.m. as it was sailing towards Alaska. The blaze also started again after being extinguished once already. 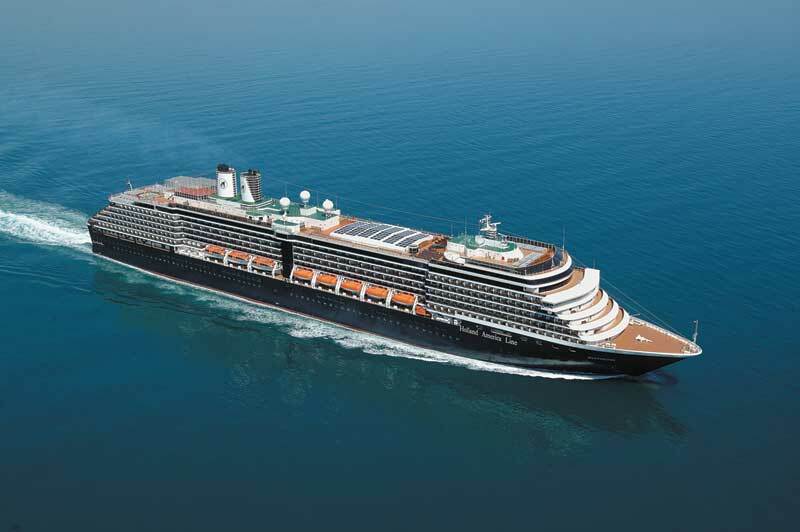 According to Holland America the ships operations have not been affected and no power outages have been reported. As far as Cruise Hive knows the ship is able to continue as normal with only slight delays possible for the next scheduled voyage which is set to begin on July 5th from Seattle.